Equipped with an adequate infrastructure we are a leading manufacturer and exporter of custom built safety pin machines which are used for large/small scale manufacture of safety pins. These machines are made against order. This machine is suitable for assembling of safety pins as shown in the picture.All components are carefully designed, heat treated and assembled. Production rate : 70-120 pins per minute. Power required : 1/2 Hp,single phase. All cams are heat treated. Machine size: 950L x 600W x1400H. 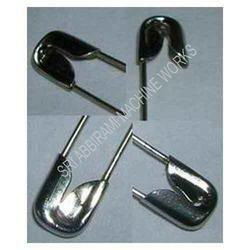 We offer cap manufacturing machine, which find application in the manufacturing process of safety pin caps. 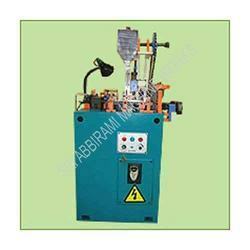 Our machine is engineered using best grade components and is in compliance with set industrial standards. This machine is widely appreciated among our clients for its low noise and accurate functioning. Our quality tested machine is sturdy in construction, highly durable and cost effective in nature. Looking for Safety Pin Making Machine ?